In 2012, Architect, Adam Sheldrake visits Barcelona for a holiday, where, by accident, he meets beautiful Italian artist, Caterina Fonteras. 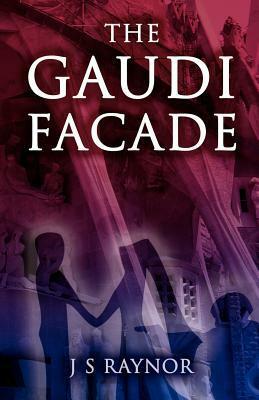 With a common interest in Antoni Gaudi, they visit the Sagrada Fam lia and are drawn into a world of violent fanaticism, leading to their imprisonment. This romantic thriller reveals a major threat to the Catholic faith and some extra-ordinary revelations. Okay, so I didn't love this book. I didn't hate it but it didn't make any favorites list for me. I just found a lot of things annoying about this book and it was difficult to finish it sometimes. I had to really push myself to get through some of the parts. I liked the characters and how they handled some situations. They are thrown into something that they didn't know was going on and had to get through it together. I was wondering how the author was going to take this book and didn't see some things coming. There were a few plot twists that threw me off the authors trail.